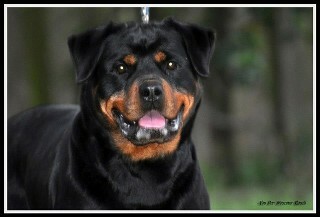 Our Rottweiler female, Xira von der Crossener Ranch, is out of the well known "von der Crossener Ranch" Rottweiler kennel in Germany. 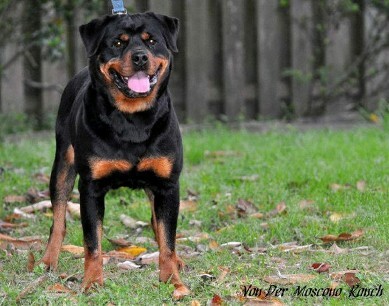 Xira is a medium size Rottweiler female with lots of working drive. Xira has black eyes and dark black mouth pigmentation. Xira has a large block head, short muzzel, and correct ear set. 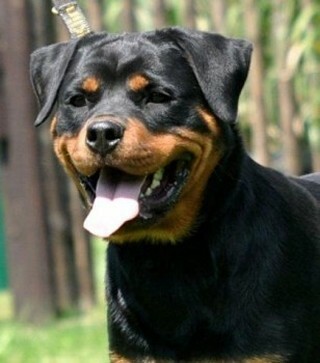 We like our Rottweiler females to have masculine type heads. 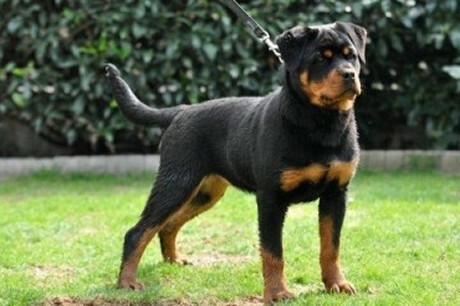 Xira is a Elvis von der Muhlbachtrasse daughter, who is world known on the Schutzhund field and in the show ring. 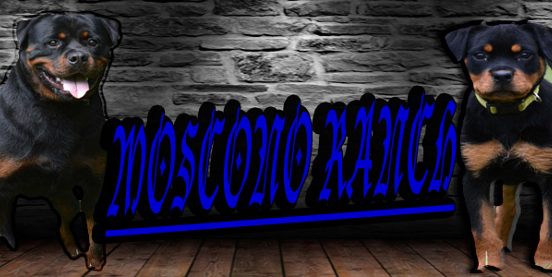 Elvis is a Mambo von der Crossener Ranch son. Xira's paternal grandmother is the famous Josy von den Hassberghohen, and is a half sibling to the Kliff von der Crossener Ranch. 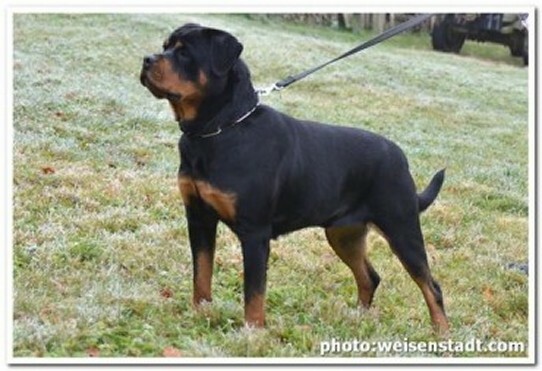 Xira pedigree go back to Orlando von hause Neubrand who has strong working and Schutzhund lines.